The writing life is no easy one. A good number of people are of the opinion that provided you know how to pour out your ideas on a piece of paper, you have become a writer. Well, the fact is, everyone is a writer. However, not everyone writes well. The road to being a good writer, is one saddled with lots of challenges, which the writer must surmount in order to advance a level higher. One of such challenges, is criticisms. This could come from anywhere, you might even be shocked to discover that your closest friend, might be the one to offer his criticisms, at any of your written pieces; in this case, destructive criticisms. If such writer is not careful, there is a huge possibility that he would end up getting discouraged, and the flair for writing, would fade out gradually. A writer should note that if attention is given to such demeaning comments, there would hardly be a chance of success. Rather, let those words spur you on to a better performance. Another challenge which a writer would face, is writer’s block. This is a condition which all writers would experience, at different points in their writing lives. This is basically characterized by a period when writers get to a point whilst writing, and they go blank, and going further effectively, becomes futile. Writer’s block usually occurs when a writer has been writing for long, and is becoming stressed both mentally and physically. The duration and rate of writer’s block varies from one writer to another, due to the differences in our body makeup. In order to combat this, the writer must ensure that he undergoes enough rest in order to reload for a better performance. Physical hazards could mar a writer’s life. For instance, a writer who has invested time and energy into writing for six months, and in just a couple of minutes, his house gets gutted by fire, and the work of six months goes up in flames in just few minutes. The life of a writer is not a totally rosy one, as challenges should be expected, this is what truly defines a writer: The ability to forge ahead irrespective of how rough the path is. Being a writer broadens one’s scope and increases the knowledge bank of such individual. There is a power behind writing; an unseen influence, or does a common saying not go thus: The Pen is mightier than the Sword. Just like everyone else, writers may be faced with depression and anxiety at different stages of their life. Writing is an exercise and pursuit that requires constant imagination and thinking of a particular thing continuously, which might stir up some levels of anxiety, especially when writers think too much. Depression and anxiety can sometimes cause a person to delve into writing, but the art of writing itself can actually lead to depression because a writer’s work is most times introverted and independent, and as such, they spend most of the time keeping to themselves. Often times, the connection between the creative art of writing and mental health may seem illogical. Writers normally think that their elemental touch of creativity which makes them what they are, may soon fade off if they don’t come up with nice write-ups, and hence, could seek some kind of relief for their state of anxiety and depression. Sometimes their skill of writing and experience which they have garnered over the time may overwhelmingly take a turn and by losing grip on their skill, the outcome could be a terrible prospect. Just like everyone else, writers who engage in the imaginary plotting of characters could end up in a state of despair and misery on the long run. The fact that writers endeavor to carve out time to create write-ups and also struggle to make writing part of their daily lives in a way adds some kind of pressure to their concept of creativity. What they do is to use graphic expressions of writing to conjure a piece of article or story out of nothing, despite the fact that writing could be quite difficult, and could cause some kinds of negative effects. Over the years, there has been an assumption that creative people especially writers are more mentally unstable than everyone else. According to research, writers are at a higher tendency to suffer from bipolar disorder than the others and the rates of alcoholism, drug addiction and suicide increased tremendously amongst writers over the years. Also, there is notion that a writer becomes more creative when they are manic or hyper, as they could get more ideas in their state of excitement. Also, writers are generally influenced by environmental factors and conditions. In writing, it takes a longtime to get something published and to get a feedback from readers of what has been published. When they finally get a feedback, it could sometimes be negative, leading them to a state of despair. A wordsmith could also be called a great storyteller. A wordsmith uses his or her initiative to shape words to have the greatest possible effect. A wordsmith should be able to choose and use words for maximum effects, and also be able to formulate word symbols and plan words as efficiently as possible. 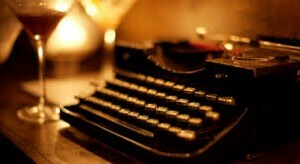 A storyteller should possess the skill of good writing. There is a common opinion that great and effective communication should be based on how well one can use big words and an impressive vocabulary. It is important to understand that communicating information requires separating the non-essentials from the essentials, and as such, it involves making ideas in a communication evident to everyone. Rarely are efficient word communicators’ good editors. There are ways to develop writing skills and become a proficient wordsmith. A professional wordsmith understands the nitty-gritty and fundamentals required to develop creative word pieces. Firstly, to develop creative writing skills, one must be clear on the intent and purpose of writing. A good writing is the one that has a clear and lucid intention which the writer should endeavor to follow through once the purpose is known. With a clear target to achieve when writing, there would be clarity in the use of words. Also, a good writer must understand the need to be straight to the point in communication. There is an immense need for brevity and conciseness in making a point known through words. If a writer is having difficulty in getting to the point, he or she should think about the receptors of the message been passed across and try to make evaluations on the reason for writing the message that the writer wants to pass across, and the reaction the writer wants the reader to have. Doing these evaluations, will help keep the writer on track. Similarly, a writer must learn to write from a calm mind. When trying to write from a stressed mind, a writer might not be able to express his or herself effectively. Staying in a relaxed zone mentally and being in a state of happiness, is the key to maximum creativity. Ideas and concepts keeps flowing in when the mind is open and active. There are various ways to keep the mind relaxed which includes playing music, meditating in a quiet environment etc. Furthermore, the longer a writer stays on a piece of writing, the worse it can become. A writer should endeavor to give him or herself a time limit to prevent occurrences of time wastage. So, a good wordsmith must have a good purpose for writing. In the writing world, there are two factors which often conflict each other, and cause a sort of confusion for the writer, these are: inspiration and deadlines. Inspiration is a condition whereby a writer has the will and the urge to creatively process thoughts, and put them into writing. During this period, there is a huge possibility that the writer would attain heights of intuitive, imaginative and artistic integration of visuals, texts and speeches. However, the inspiration of a writer does not last for a long while, so it is essential that such writer utilizes this period for full effectiveness. It is necessary for a writer to seek ways on how to continually renew the source of inspiration, in order to churn out great pieces of writing. A good writer can draw inspiration from just anything; any random occurrence which could be: a person laughing hysterically, a bride crying on her wedding, a tree which sheds its leaves amongst others. It would surprise you to note that a writer could extract several texts from any of such events, and make a wonderful piece out of it. For deadlines, this is referred to as a time frame which the writer has to meet up with, in order to achieve a particular goal. Deadlines could be self-imposed or enforced. Self-imposed deadlines can be said to be a form of discipline which the writer gives himself, in a bid to finish up a project. Most times, these deadlines can be extended. Although, it is beneficial for the writer to apply self-restraint, in order to ensure that this does not occur. Enforced deadlines could occur in a case whereby the writer happens to belong to an organization for instance, and a piece needs to be written and submitted urgently. A couple of times, deadlines are not really convenient for writers, due to the fact that, they would be put under pressure and it would be hard to draw inspiration. Hence, an average piece might be produced eventually. Deadlines are known for bringing out the best in writers, as qualities such as speed, accuracy and delivery time would be tested. However, a quality writer needs to attain a particular level of expertise whereby tight deadlines would not be an issue, whilst integrating inspiration into the write-ups to yield an overall great piece. Writing is a skill which requires a deep level of creativity and also some qualities people use, but not in a way a writer uses it. A very important quality a proficient writer must possess, is the ability to concentrate, whether it is applied for short or long sessions or the both. While paying attention to a writing job, most writers must permit a process that can interrupt the flow of activity. Due to maximum commitment to the writing task, any spark of inspiration or idea must be incorporated into the project. The focus on writing always seems to establish a lot of modes or initiatives to writing. 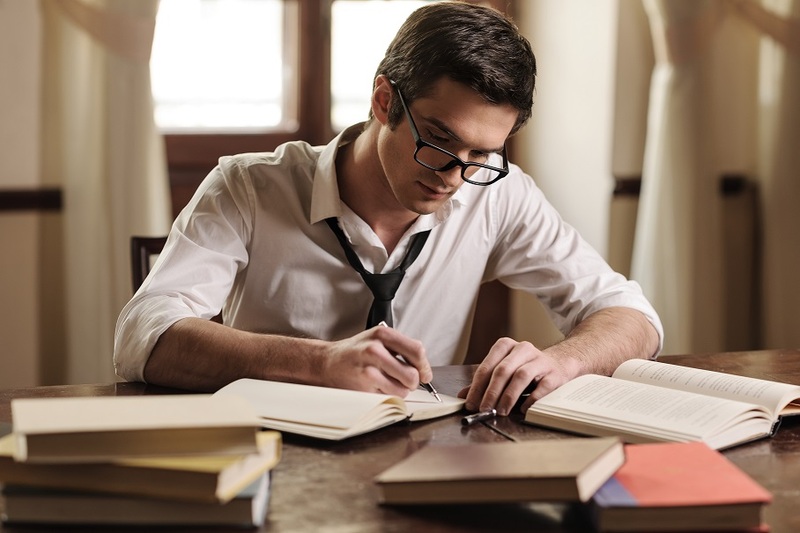 Importantly, there are various techniques which can facilitate a good writing skill, but many view regular writing and reading as the best technique to developing oneself in writing. Now there are quite a number of reasons many people become writers. With the immense rise of the internet, and a considerable number of blogging platforms, people have found interest to showcase their skills of writing to people. It is a good platform for the timid and apprehensive people to be able to share their wonderful ideas and opinions to the world at large. Over the past few years, a platform that could connect millions of writers and the masses together was unheard of and seemed absurd, now people are able to share their thoughts, ideas and opinions to the world in just a jiffy. The silent and timorous majority are now able to contribute their own quota to the movement without fear of nervousness. They have been able to create platforms and portals that would never have surfaced without the help of this online media. However, the implication to all this is that there are no more standards to be evaluated, such that, almost everyone can contribute their thoughts and ideas. With the fact in view, all contributions cannot be equal. There is no one to evaluate the limit to which one can contribute, or to edit the content of a write-up, it is difficult to determine which writer to listen to or who to follow and invest time in. The invention of effective communication tools such as online social media platforms has led to the ability of everyone to become a writer, as everyone has an idea that they want to share. If there are massive contributions with no value, a writer’s work might be fruitless. Though the process of professional writing is rewarding, it can also be full of challenges, woes and adversity. Writing for the professions is, in many rights, considered an art form, and like other art forms it is not given due respect or compensation. Professional writers are highly valued when they are well recognized and loved, but professional writers who have not had their break into the mainstream can be gravely mistreated, both professionally and socially. The profession of writing is known for being overworked and underpaid. Like any art form, there is a degree of subjectivity in the criticism of writing, meaning that preferred styles of writing can be a matter of taste. This has lead to a widely spread and inaccurate assessment that anyone can be a writer, and that writers do not possess distinct skill sets. Those who are actually skilled in reading and writing know that this is not the case. Quality writing is governed by complex rules, and only those who have devoted themselves to the craft of writing should be considered “writers.” All others claiming to be writers are only considered to be so by an uneducated populous. Professional writers require quiet and solitude in order to write, which often gets them misjudged as antisocial, introverted or just plain weird. Particularly burgeoning writers who are struggling to receive recognition are harshly judged for the time they spend behind closed doors. Peers, family members and roommates frequently do not see the value in the writer’s pursuits and stigmatize their behavior as mentally unhealthy. Which brings this writer to the harshest challenge that professional writers face. It is a challenge that Sir Ken Robinson discusses in the TED Talk “How School Kills Creativity.” Writers and other artists do not receive the support they need, from their social and familial groups or from society, to pursue their talents. Writers and artists, even the ones who demonstrate great potential, are much more likely to be discouraged away from their craft than they are to be encouraged toward it. This is because the arts are stigmatized as a professional waste of time, money and energy. The future of creative thought depends on reversing this toxic societal attitude toward writers and other artists. The life of a professional writer can be a very magical one when the craft of writing is respected properly. Writing is a very rewarding profession or vocation in that it makes use of the mind in a very unique way. There is no other task that people go about that uses the mind in quite the same way. Writing enhances and utilizes a person’s imagination and ability to express one’s self, allows them to build on their written language skills as an art form and takes them through a one-of-a-kind self discovery process. Every form of literature that is created requires use of the imagination and expressive faculties. Even pieces of journalistic or academic writing, which are championed for their objectivity, can be greatly enriched by the author’s own voice coming through to the reader. The human imagination does a great deal more than make believe. It is responsible for all forms of mental wandering that make valuable connections between different areas of thought, as well as theorize, invent and create. The cogent expression of these imaginative ideas makes for excellent writing. Every valid form of writing offers a mastery of written language. This goes without saying. 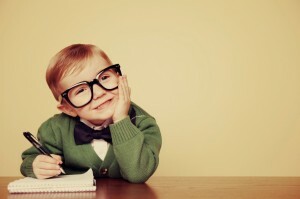 A writer’s primary job duty is to be proficient and skilled at communicating the written word. It is rewarding to the writer to consistently generate quality writing, both for the benefit of the effect it will have on their reader and the benefit it will give the writer’s competency. And lastly, every form of writing offers an education to the writer, as well as a journey of self discovery. 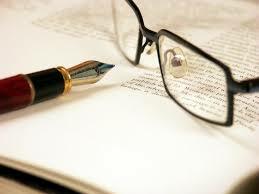 Any good piece of writing will inform the reader of something they did not previously know, which means that the writer will also obtain new information through the researching and writing process. The impetus for writing is to communicate personal revelation. Writing also represents the highest level of organization possible for one’s own thoughts. Solidifying thoughts into written words is the most organized form of expression there is, which essentially means that writers come to understand their positions on things more clearly than others, which is a unique and interesting form of self discovery. People use the title “writer” to describe anyone who habitually writes anything, either professionally or as a hobby. It is, however, a rather vague term as the purpose behind any particular writing can be vastly different. The title “writer” draws to mind images of a novelist, obsessing over their writing and disregarding everything else. This stereotype hardly describes every type of writer. Professional writers are a diverse group of people with a range of different professional intentions. The most traditional professional writer is the independent one; a novelists, essayists, blogger or freelance writer. This type of writing requires entertainment, information and enlightenment value from the writer. This writer is fortunate enough to be their own boss and pursue the writing projects of their choice. It is considerably difficult to achieve this type of writing vocation. Only a small percentage of professional writers can claim true independence. Academic or research writers are primarily scholars or scientists of some sort. Many are employed by educational institutions, labs, research centers or other organizations looking to conduct official studies. The communication of their findings in readable, official language is very important to the success of the research, which means that a professional level of writing is necessary. Technical writers are recently in very high demand as there is often a separation between technically minded people and good writing skills. It is now very common for a person to receive an education in both writing and a technical vocation, equipping them to communicate the technical language in a way that is understandable to the layperson. Marketing and press release writing is an area of writing that many people who study journalism and English gravitate towards. This type of writing requires the ability to generate interest in the subject matter, which is different from writing of the technical variety. Where technical writing is under no obligation to inspire the reader to keep reading, marketing and press release writing are supposed to be catchy and hook the reader. News writing, or journalistic writing, is a well established profession and area of study. News writing involves finding stories, researching them, conducting interviews and organizing facts into a well written news piece to inform the public of current events. News writers are generally employed with a newspaper or similar editorial. A professional writer is a person with a particular brand of ups and downs. People become professional writers for a number of reasons, such as strong linguistic, storytelling or communication abilities, but one thing that all professional writers value is the power of the written word. The creation of literature marked the dawn of humanity’s original intellectual revolution, and literature continues to flourish today as the basis for the communication of intellectual ideas. Even the movies and music that we value so highly in modern times begin with the written word, in the form of screenplays and lyrics. Writers have played a very important role in the civilization of the world’s cultures, and continue to revolutionize the world today. However, for such an important vocation, writers can be some of the most misunderstood and disadvantaged professionals in the workforce. Society’s relationship with its writers can be a complicated one. The rewards of being a professional writer are many. Professional writers often struggle to make a living on their writing, so when they do achieve that coveted title of professional writer, it is very fulfilling. It is an honor for a writer to make a living on their writing because it means they have something valuable to say. Professional writing is unique among vocations as it calls for solitude and a great deal of thinking. In fact, it is quite literally an exercise in organizing and translating thoughts into communication. Most professional writing positions are in marketing and technical writing, which can make a decent living. It is a much smaller percentage of writers that publish full length books, but those who do can sometimes become wealthy off of it. Of course, it is not all good news for professional writers. There are a number of ways they are abused and mistreated as well. When all is said and done, the skill of writing is an art form, and it is no big secret that artists are largely disrespected in the work force. Writers are often pressured to produce insanely high word counts for unimpressive pay – a practice that totally disregards the talent they possess. This pushes many of them toward mental disorders and addictive tendencies. Writers are also frequently misunderstood as people for their necessity of solitude. Writing is one vocation that cannot be achieved socially.